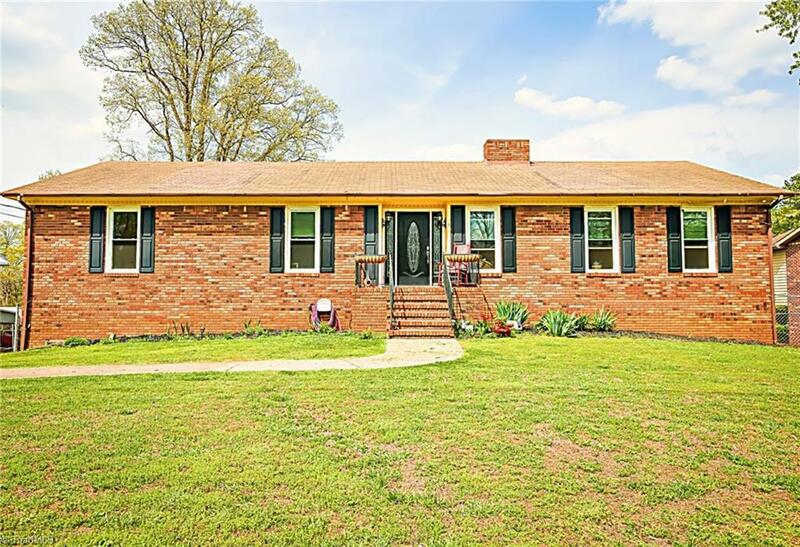 Spacious brick rancher with plenty of living spaces including living room, formal living room, basement den w/ wood burning fireplace, formal dining, and eat-in kitchen with open bar to den with brick wood burning fireplace! Large master suite with plenty of walk-in closet space and attached private bath! Attached two car garage with extra storage for tools or hobby space. Large flat private backyard and concrete parking pad. Convenient to hospitals & shopping on Stratford & Hanes Mall. See Agent Only. Fixture Exception Description: Security Cameras And Associated Hardware.